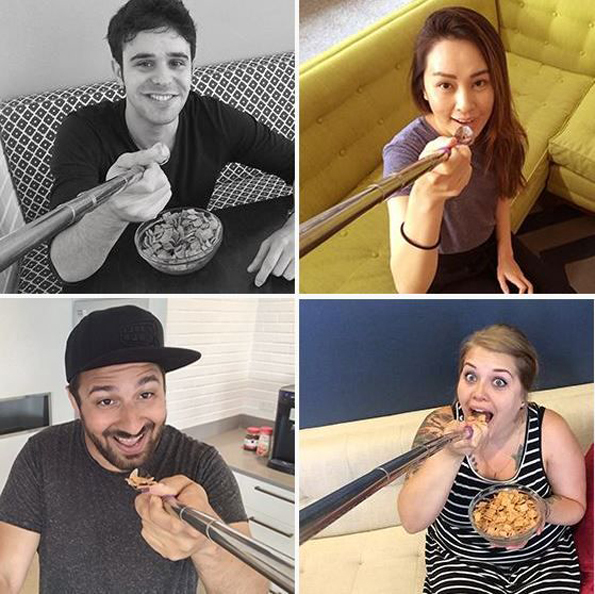 Breaking news, you guys — General Mills has introduced The Selfie Spoon. 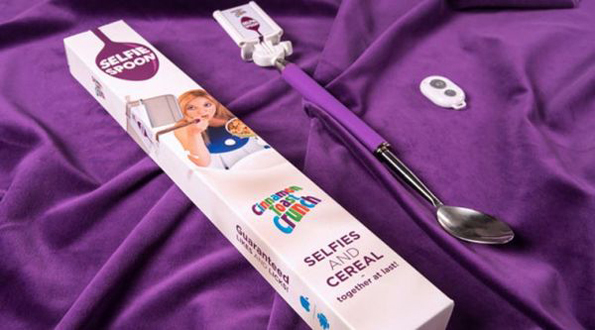 It’s a selfie stick with a spoon attached so you can snap photos of yourself while eating cereal. For whatever reason the company’s marketing it specifically for Cinnamon Toast Crunch, a delicious cereal best known for janking up the roof of your mouth, but not as bad as Cap’n Crunch. But I imagine it works for other cereals too. Want to get your hands on one? Too bad! They’re sold out! But the product site claims there will be a whole new batch available tomorrow, so check back then. Or you could make your own! Shouldn’t be so hard. 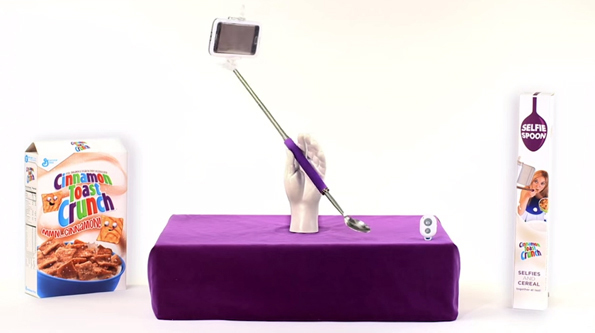 Just a little duct tape, a selfie stick, and a spoon and you’re all set! Set for what? I don’t know, you just made a homemade selfie spoon, I’m not going to pretend to understand what you’re about.